“It is inspiring, says Sinikka, “to find traces and fragments of ideas about the world tree, axis mundi, in Finnskogen. I have transformed these and some parallel stories into songs that are encircled by instrumental passages and improvisations by the musicians.” She quotes the late historian-philosopher Mircea Eliade: "Every Microcosm, every inhabited region, has a centre, a place that is sacred above all." The songs here, beginning with Sinikka’s setting of a traditional rune song text, “Puun Loitsu (Prayer to the Tree Goddess)”, celebrate the spirit of place. Langeland has been based in Finnskogen since 1992, and the sounds of the forest and the deep history of the region are integral to her work. In her notes to The Magical Forest, she writes that “Finnskogen can be regarded as the western part of a cultural belt that runs eastward through Finland, Russia and Siberia all the way to Japan.” Common to this shamanistic pathway are songs and hunting rituals, such as the one Langeland illuminates on “Kamui”. Sinikka Langeland was born in Kirkenær in southeastern Norway in 1961, and studied piano, guitar and contemporary folk song. 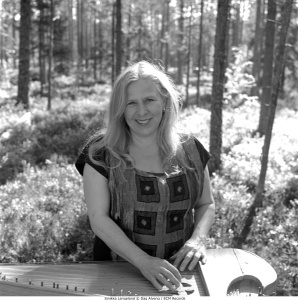 In 1981 she began to play the kantele, the Finnish table-harp which would become her primary musical interest, along with singing. In the 1980s she also devoted time to theatre work and to studies at Ecole Jacques Lecoq in Paris and at the University of Oslo, where she earned a degree in musicology in 1992. She then became absorbed in a massive research project, foraging for old songs and music from Finnskogen. In performance, her exploration of older forms has always been an open-minded one. 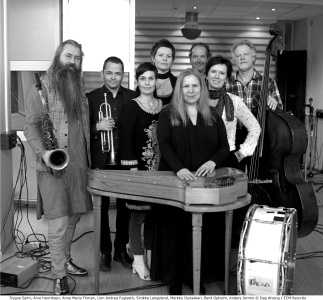 Improvisers including Anders Jormin began appearing on her recordings from the mid-1990s, with Arve Henriksen first joining Sinikka on disc for the 2002 collection of rune songs, Runoja. With the recording of Starflowers, the combining of archaic and free elements resounded most positively. Since then, the ensemble has gained in strength. The idiosyncratic talents gathered in this band are also players who delight in shaping a group sound: nobody is clamoring for solo space, and new colours emerge in exchanges among the musicians and in free ensemble playing. As Langeland’s own instrumental confidence has grown, the kantele has come to have an increasingly important role also in the improvisations. Interaction in this band is further strengthened by a network of musical associations and alliances. Saxophonist Trygve Seim and trumpeter Arve Henriksen have collaborated in many contexts, and Arve has played as a member of Seim’s ensembles (refer to the albums Different Rivers and Sangam). Henriksen also works closely with Trio Mediaeval (an ECM album of this configuration is in preparation), while Trygve Seim and Markku Ounaskari now play together in the drummer’s Kuára trio. 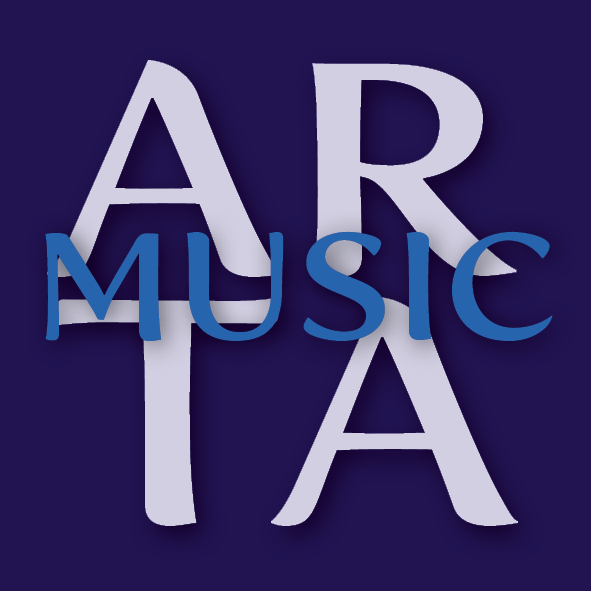 The Trio Mediӕval was founded in 1997 as a vocal group specializing in early music, open to collaboration with contemporary composers, and with a strong interest also in folk ballads. In recent years, Trio Mediӕval has also worked increasingly in projects with jazz improvisers. The Magical Forest was recorded at Oslo’s Rainbow Studio in February 2015, and produced by Manfred Eicher. The full album line-up with Sinikka Langeland’s Starflowers group plus Trio Mediӕval will be appearing at Oslo’s Cosmopolite on October 28 and at Røgden Bruk Finnskogen on October 29.